Three full seasons in and we still haven't seen the full emergence of Better Call Saul's titular character, Saul Goodman. More surprisingly, we're totally fine with that. With the attorney formerly known as Jimmy McGill's backstory unfolding in such an appealing way on the Breaking Bad prequel, there's no need to rush things. 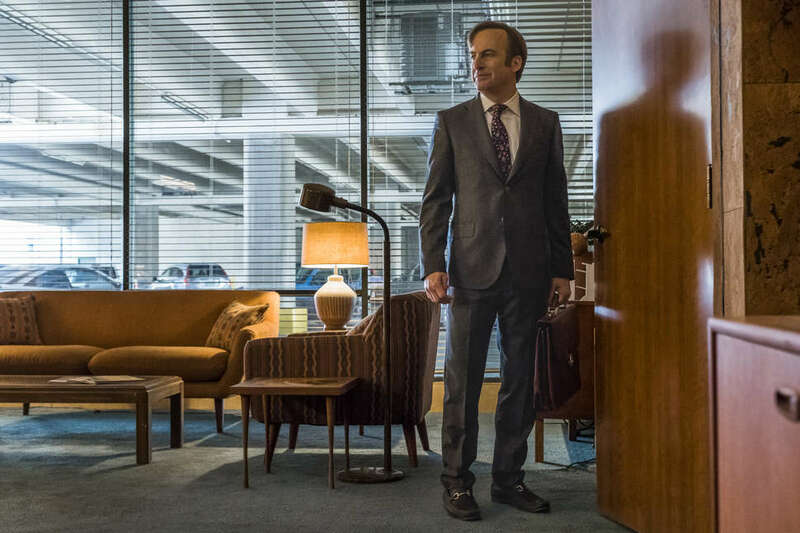 But as AMC's Better Call Saul returns for its fourth season, Jimmy is hurtling faster towards the slick alter ego we know will eventually be retained by Walter White. The show's creators, writers, and cast have professed they've come to love Jimmy so much that they're not eager to see him go, but they've also hinted that it's time he does. In advance of the premiere, here's a roundup of everything we know so far about Jimmy, Kim, Chuck, Mike, Gus, Howard, and the rest of their Albuquerque cohorts as they get set to return to primetime on Monday nights. When is Better Call Saul Season 4 coming out? The 10-episode fourth season, which began filming in January 2018, will premiere on August 6 at 9 p.m. ET, and air every Monday night on AMC through October 8. Is the entire cast coming back? Most of them. That Season 3 finale fire seemed to doom Chuck (Michael McKean in one of the best and most criminally Emmy-denied performances of last season), but his death was not confirmed on camera. We do know Jimmy, Kim (Rhea Seehorn), Mike (Jonathan Banks), Howard (Patrick Fabian), Gus (Giancarlo Esposito), Nacho (Michael Mando), Hector Salamanca (Mark Margolis), Mike's daughter-in-law Stacey (Kerry Condon) and granddaughter Kaylee (Abigail Zoe Lewis), and Hector's nephews, Marco (Luis Moncada) and Leonel (Daniel Moncada), will be a part of the fourth season. So, Chuck is probably dead, right? "In Better Call Saul's fourth season, Chuck's death catalyzes Jimmy McGill's transformation into Saul Goodman. In the wake of his loss, Jimmy takes steps into the criminal world that will put his future as a lawyer -- and his relationship with Kim -- in jeopardy. 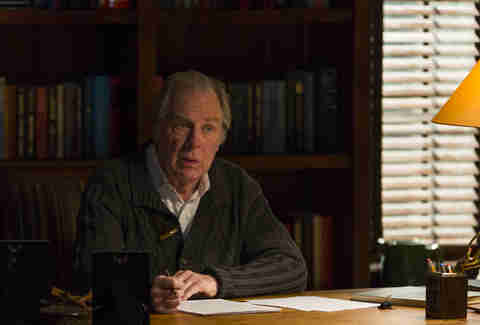 Chuck's death deeply affects former colleagues Howard and Kim as well, putting the two of them once again on opposite sides of a battle sparked by the Brothers McGill." Even though Chuck is dead, his presence will continue to loom large in Jimmy's life. Also in that New York Times interview, McKean confirmed he'd been asked to return to film scenes for Season 4, so it's a pretty safe bet that Chuck will live on in flashbacks during the new season. Clearly, we have not yet seen the full brunt of his influence on Jimmy. Plus, remember that Chuck took a big payout -- $9 million -- to leave HHM. In whose hands will that money end up now? Is that the cash Jimmy uses to fund his new life as Saul Goodman and start his strip mall firm? Did Tio Salamanca survive his attack in the Season 3 finale? Survived, yes, which is not a spoiler, since we know the bell-ringing Hector is a major factor in the future events of Breaking Bad. But merely surviving isn't the point anyway, because the Salamanca family's lives are dangerously, inextricably, mingled with Gustavo Fring's, and we are about to discover new depths to Gus's methodical, slow-burn commitment to revenge for the death of his old pal and former business partner, Max. That is, by the way, a nudge to rewatch "Hermanos," the Breaking Bad Season 4 gem that first shed light on Gus's raison d'etre. "Mike Ehrmantraut takes a more active role as Madrigal Electromotive's newest (and most thorough) security consultant. 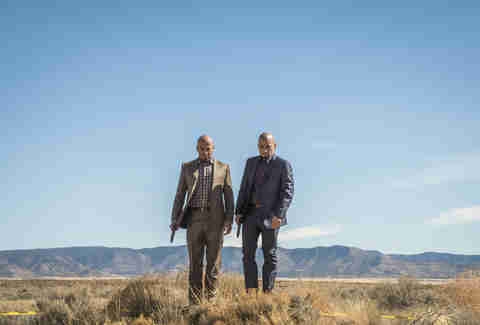 It's a volatile time to be in Gus Fring's employ, as Hector's collapse sends shock waves throughout the Albuquerque underworld and throws the cartel into chaos -- tearing apart both Gus and Nacho's well-laid plans. While Gus changes course, Nacho finds himself in the crosshairs of deadly forces." OK, so, we've actually seen the first two episodes of Season 4, and far be it from us to straight up ruin any of the goodies series co-creators Vince Gilligan and Peter Gould and one of the best writers' rooms on TV have cooked up for these next 10 installments. However, we will say, given that the first three seasons kicked off with black-and-white flashforwards to Jimmy/Saul's post-Breaking Bad future as Gene the Cinnabon manager in Omaha, it would not be at all ridiculous for you to assume the further adventures of Gene will unfold in Season 4. Not at all ridiculous. Will any new Breaking Bad characters show up this season? Yes. At least one shows up early in the season. And that's all we've got to say about that. Overall, Gilligan said during the recent AMC Summit event in New York, "On the Venn diagram of Breaking Bad and Better Call Saul, the overlap in the center is getting bigger and bigger." He also confirmed the introduction of "Lalo," a Breaking Bad character who was never seen on camera, to Saul Season 4. Lalo was mentioned by Saul in the Season 2 BB episode "Better Call Saul" -- the one that introduced Saul Goodman to the world -- when Walter White and Jesse Pinkman kidnapped him and took him to the desert for an interrogation. During the "Masterclass with Better Call Saul" panel at the AMC Summit, executive producer Melissa Bernstein added, "We have a couple of new [Breaking Bad] characters that we'll be reintroducing to the world. We probably don't want to say who yet, just to preserve the fun of that for the fans." 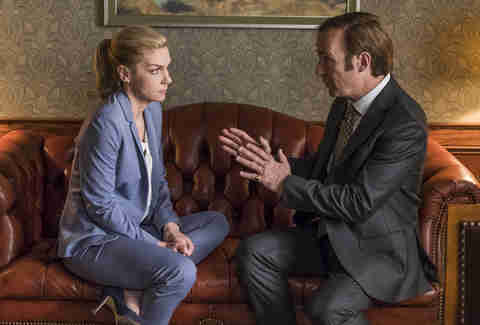 Director Michelle MacLaren, who won two Emmys as a Breaking Bad executive producer and who directed classic BB episodes like "One Minute," "Salud," "Gliding Over All," and "To'hajiilee," directs the second episode of Better Call Saul Season 4, "Breathe." It's the first time she's directed a BCS since the second episode of Season 1; she's been busy directing installments of Westworld, Modern Family, and The Deuce, where she's also an EP. Jimmy, Kim, and Howard all have guilt about Chuck's suicide, but for Jimmy, of course, his feelings about every aspect of his relationship with Chuck are far more complicated. "This season is so psychological. It's what's going on in his head," BCS producer Ann Cherkis teases about how Jimmy will react to Chuck's death. Let's not forget: the audience knows that Jimmy's sneaky Season 3 trip to the legal insurance rep played a big role in Howard forcing Chuck out of the law firm. The audience also knows what Chuck said to Jimmy in their last meeting -- that Jimmy had never really mattered much to him. Kim knows neither of those things, and the weight of those actions and keeping them a secret is going to wreak havoc on Jimmy and Kim's relationship. As is Kim's own unwillingness to be completely open with Jimmy. "Certainly Jimmy, I think, she lets see the most inner parts of her," Seehorn said. "But to a great degree this season, she withholds, and you do see the increasing pressure of that." Adds showrunner Peter Gould, "Kim's love for Jimmy is tested, and we know she doesn't end up on Breaking Bad." But it will still have those lighter BCS moments we love, too, right? Absolutely, and given how much heavy stuff is going on with everyone this season, that's no small thing. In the season premiere, for instance, Jimmy, Kim, and Howard -- as well as the ABQ's other top legal minds -- attend Chuck's funeral. But the premiere also includes one of the best Mike sequences ever, in which the former cop has a little fun and gets to use his incredible investigation skills to mess with uptight exec Lydia (oh yeah, she's back, too, still played so memorably by Laura Fraser) when he goes on a surprise field trip. And there's plenty more Mike screen time this season, which hopefully leads Banks to the Emmy that has maddeningly continued to elude him despite his years of stellar work in the Gilligan/Gould universe. We'll see the complete story unfold as to how he became Gus's right-hand guy, the one who eventually carries out all those "full measures" on behalf of the Los Pollos Hermanos honcho. And, as is teased in the BCS preview above, Jimmy once again asks Mike to collaborate on a side hustle, which means we get to experience the joy of watching Mike not even bother to hide his dislike for and amusement by Slippin' Jimmy. Is Jimmy going to officially, finally, become Saul Goodman this season? Though Jimmy is certainly a more hardened, closer-to-Saul version of himself than he was when BCS premiered, he's still got enough McGill charms left to make us willing to wait out his ultimate transformation for at least a couple more seasons. But that is unlikely, and Gilligan and company have confirmed Jimmy's journey -- er, descent -- into Sauldom proceeds in Season 4. Again, we ain't spoiling anybody's fun, but there is a storyline with Jimmy in the season's second episode that will shed further light on this very question, and it is nothing short of chilling. Gould, in the season preview above, also shares that, "The moments that are the most rewarding to me are the ones where (Jimmy) surprises us in the writers' room. And this season, Jimmy pulls some switcheroos the likes of which we've never seen before." Stay tuned for more updates, as the Better Call Saul gang appear at San Diego Comic-Con on July 19 for the show's first-ever SDCC panel.